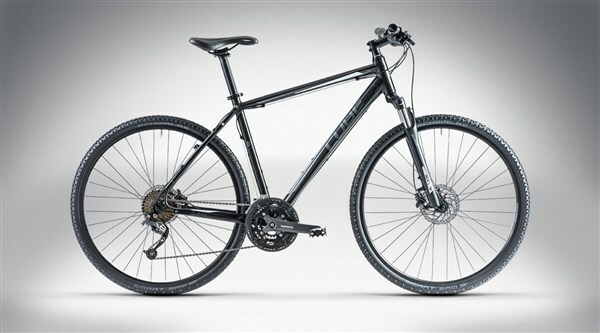 The Cube Curve Pro 2014 hybrid sports bike is the ideal bike if you want the best of all worlds - a little off-roading, cycle paths, road riding or a journey to work. 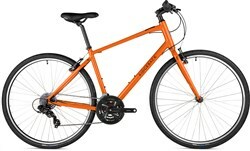 It's incredibly comfortable, with relaxed geometry and flat handlebars for a more upright position. The frame is made from lightweight but sturdy aluminium complemented with a suspension fork for shock absorption and control over bumpy terrain. The Shimano groupset provides reliable gear changes and the triple chainset gives you a big hand up hills without losing too much power on sprints. Hydraulic disc brakes provide accurate stopping and chunky tyres give good grip.